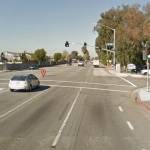 NEWPORT BEACH (January 1, 2015) – A hit and run accident in the early hours of the new year left pedestrian, Travis Marton, with fatal injuries. Newport Beach police responded to a call around 3:00 a.m. on New Year’s Day that a pedestrian had been struck. Upon arriving to the scene, police found the body of Travis Marton along the southbound side of Pacific Coast Highway near Newport Coast Drive. Marton, a resident of Valencia, died at the scene. He was only 23 years old. The driver of the car that struck Marton fled the scene but was later found in Laguna Beach. He has been identified as 56 year old San Clemente resident Ronald Lloyd Aviles. He was arrested by Laguna Beach Police who found his car with sever- front-end damage. He was booked and his bail was set at $50,000. Further investigation will reveal what happened. Witnesses should immediately contact the Newport Beach Police Department at 949-644-3681. Aviles posted bond and will have to appear in Orange County Superior court for felony hit and run. Aviles, a taxi driver, is required to be insured by the State of California. 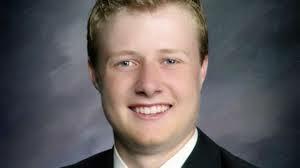 His insurance limits are likely inadequate to compensate Travis Marton’s parents for his wrongful and untimely death. His insurance limits will depend on his status as either an independent taxi-driver or a employee of a large taxi company. Marton was a resident of Valencia, California. He graduated from UC Santa Cruz last spring with a degre in bioengineering. A candlelight vigil was scheduled for Monday at Natural Bridges State Beach. 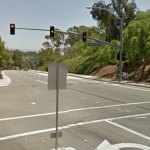 Hit and Run accidents are a plague in Orange County. Frequently drivers will leave the scene of an accident in order to avoid the criminal penalties of drunk driving. In this case however, it appears that alcohol was not a factor in this accident. It is puzzling why a driver would leave the scene of an accident and subject themselves to additional criminal liability. However, it is a crime and drivers should be punished accordingly.